Poly(imide-ether)s (PIEs), which is porous in nature, was synthesized using aromatic diamines and dianhydrides via the solution polycondenzation reaction. 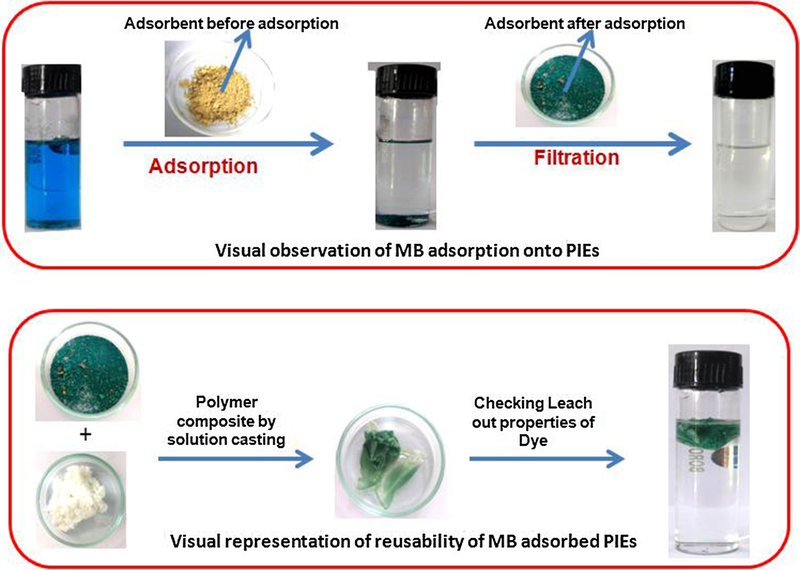 In the process, PIEs was used as an adsorbent for the removal of basic dye [Methylene blue (MB)] from the aqueous solution. The structure and the thermal stability of PIEs were characterized by FT-IR, 1H-NMR, XRD and TG analysis, and the adsorption behaviour of the PIEs was confirmed using UV/Visible, FT-IR and SEM with EDX analysis. Batch adsorption experiments were carried out and their parameters (pH 6.95), initial MB concentration (200 mg/L), adsorbent dosage (50 mg), contact time (120 min) and temperature (28 °C) were optimized. The batch adsorption experimental data of the effect of contact time, initial MB concentration and temperature were evaluated using the adsorption kinetics (Pseudo-first order, Pseudo-second order, Elovich and Intra-particle diffusion kinetic), isotherm (Langmuir, Freundlich, Redlich–Peterson and Sips isotherms) and thermodynamic models respectively. In the study, adsorption of MB onto PIEs followed Pseudo-second kinetics and found to be the best fitting model based on the obtained experimental data. The homogeneity and heterogeneity surface nature of PIEs were elucidated with two and three isotherm parameters respectively. The adsorption thermodynamic study indicates that the adsorption of MB onto PIEs was endothermic and spontaneous in nature. 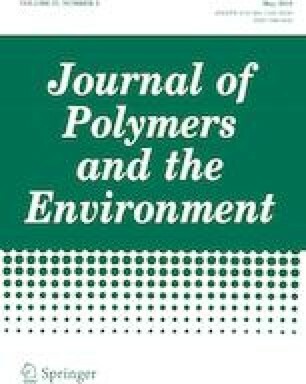 The adsorbed PIEs solid waste was utilized to prepare the polymer composite, and its property was characterized. AM thanks the SSN Trust and Institutions for the grant of the Internal Funded Faculty Project. PR, NNAB and KJT thanks the SSN Trust and Institutions for the award of Internally Funded Student Project (Grant No. IFFP-CHEM-2017).